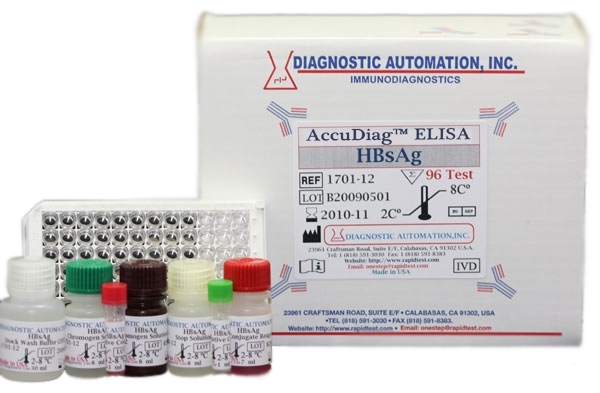 HEV ELISA kit | CE-GMP | 818-591 3030-USA. 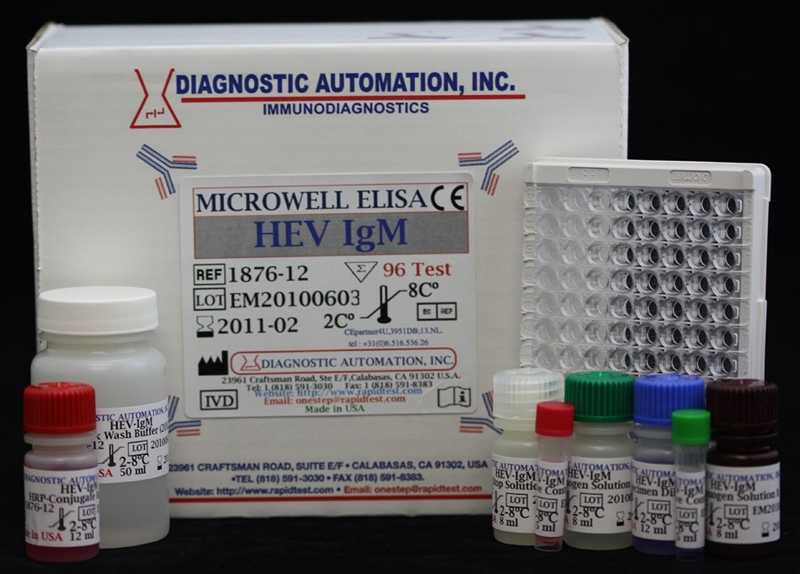 HEV ELISA kit is an enzyme-linked immunosorbent assay for the qualitative detection of IgG-class antibodies to hepatitis E virus in human serum or plasma. It is intended to be used as an aid in supplementary diagnosis to acute hepatitis E infection and prevalence studies among the population. Hepatitis E is a recurring infection in developing countries. In less frequent, isolated cases, it has also been reported in developed countries. Identified in 1990, Hepatitis E (HEV) is a non-enveloped, single stranded RNA virus where infection can lead to acute (or subclinical) liver disease, like that associated to hepatitis A infection. Fatality rates are generally low - averaging 0.5-3 percent for most patients, while pregnant women hold elevated averages around 15-25 percent. In 1995 a theory was introduced that HEV was transmitted to humans from animals (zoonosis). Not long after that, in 1997 and 2001, respectively, HEV was identified as transmitted from swine and from birds. After that time, HEV infection transmission has been associated with several animals, for example, wild monkeys, deer, cow, goats, rodents, dogs, and chickens. Found in both developing and developed countries, these HEV infections (including anti-HEV) consisted of viremia and feces excretion of HEV-affected animals, such as those listed above. A direct link to acute hepatitis E in humans from eating uncooked deer meat, was also reported. Also found in supermarkets in Japan, HEV genome sequences have been identified in pork livers. 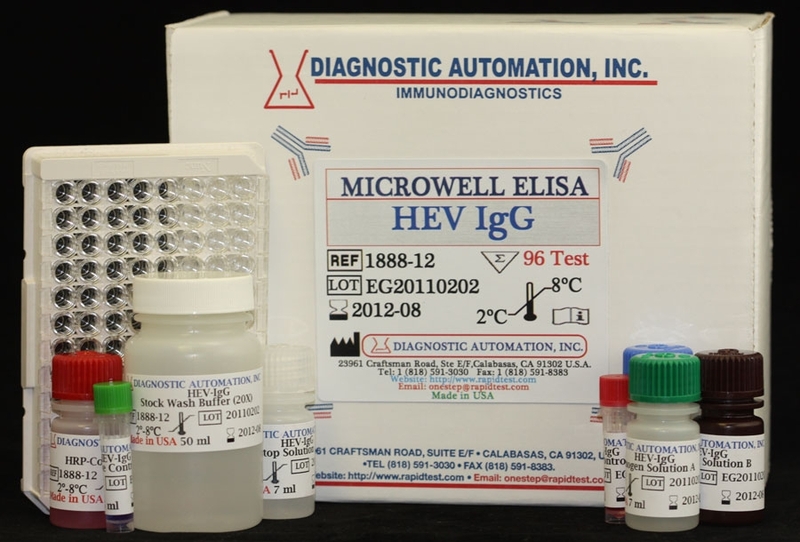 HEV ELISA kit employs solid phase, indirect ELISA method for detection of IgG-class antibodies to HEV (anti-HEV) in two-step incubation procedure. Polystyrene microwell strips are pre-coated with recombinant, highly immunoreactive antigens corresponding to the structural regions of HEV (ORF-2). During the first incubation step, anti-HEV specific antibodies, if present, will be bound to the solid phase pre-coated HEV antigens. The wells are washed to remove unbound serum proteins and then, rabbit anti-human IgG antibodies (anti-IgG) conjugated to horseradish peroxidase (HRP-Conjugate) are added. During the second incubation step, these HRP-conjugated antibodies will be bound to any antigen-antibody (IgG) complexes previously formed and the unbound HRP-conjugate is then removed by washing. For additional details please refer to the instructions for use. Most Infectious Disease ELISA kits follow a similar method. 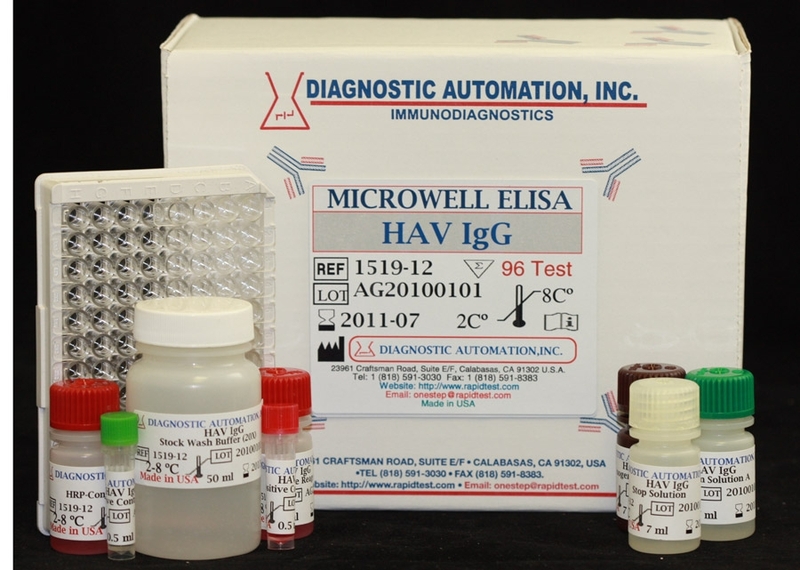 See the HEV ELISA Kit product insert for details on preparation, procedures, quality control, and test result interpretation. 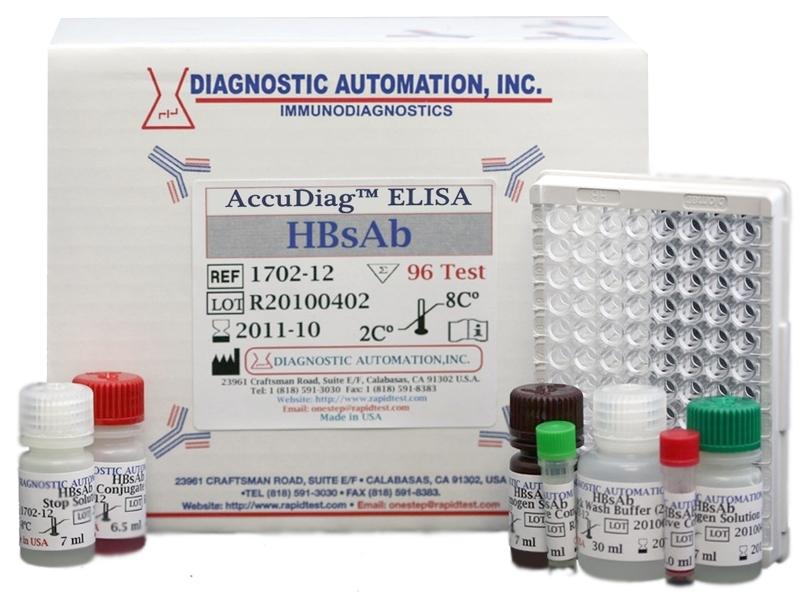 Diagnostic Automation Inc provides other Infectious Disease ELISA Kits. For more information about ELISA Kits, Rapid Tests, IFA Kits, CLIA Test Kits, or Serology tests, please see our website home page, or contact our Customer Service Representative at 818-591-3030. * Not to be sold, shipped or distributed in The United States. 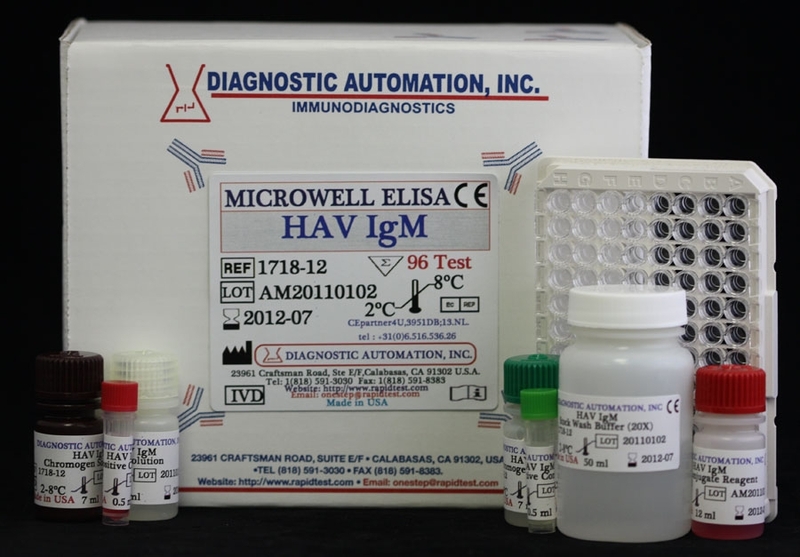 Specimen to be tested by HEV IgG ELISA kit test should be kept at 2-8 C. Samples not required for assaying within 3 days should be stored frozen (-20 C or lower).